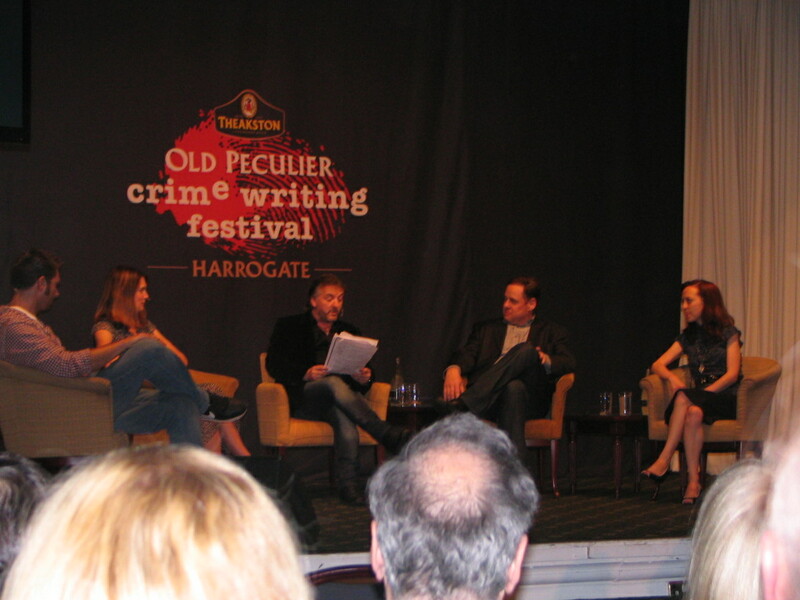 Friday at Theakston’s Old Peculiar Crime Festival, John Connolly artfully guided a discussion titled ‘America’s Got Talent’ with four writers outwardly tied by nationality; however, as was discovered in the discussion, they share more than a home country as similar influences, methods and interests in the genre emerged. 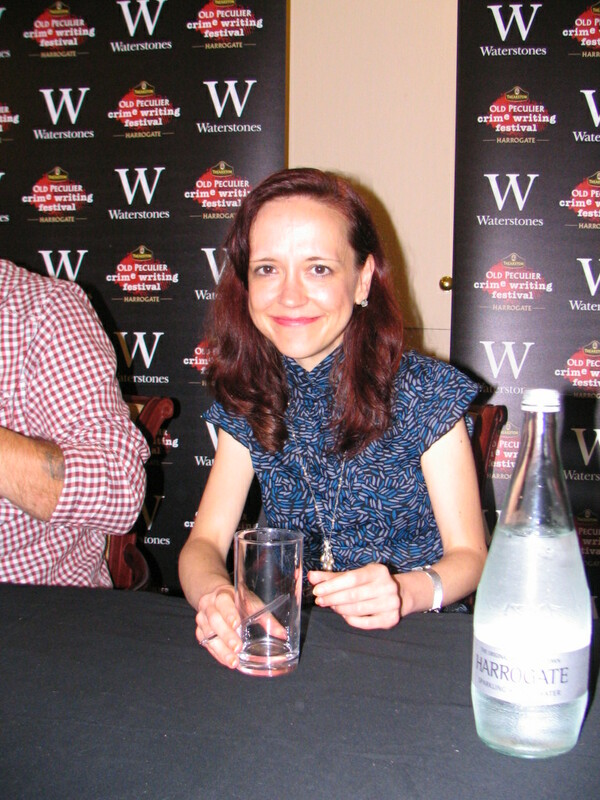 Megan Abbott’s very early yet enduring love of film noir (she wanted to marry James Cagney as a child) was complimented by stories from Gillian Flynn, whose film professor father took her to watch Alien and Bonnie and Clyde at the tender age of seven. Chris Mooney spoke of his ‘cool grandmother’ who allowed him to watch the Creature Double Features and The Shining, while Ryan David Jahn, who worked as a screen writer after leaving the Army, explained that he wrote visually, preferring to show a character through his actions rather than through internal monologue or dialogue. As I usually attend academic conferences, one of the most refreshing moments was when the authors were candid about their struggles. Gillian Flynn called herself a ‘slow writer’ who doesn’t know where the book’s going when she begins and who spend a lot of time editing and redrafting. Megan Abbott said that she did not have a ‘logical mind’ and that puzzles, or the traditional whodunnit form, did not suit her. Ryan David Jahn admitted to missing deadlines and slacking off eight months of the year, only to be driven to finishing a book in four months, sometimes writing 12,000 words a day. Chris Mooney, who came across as a great guy to have a drink with as he always had a funny line, explained that he used to be a perfectionist with his work, but now he forces himself to give a rough edit to his publisher and do the editing afterward. I was surprised by a few things. One was the importance Megan Abbott placed on true crime, and how the idea of what people do when they’re backed into a corner fascinates her. Secondly was how difficult the editing process is for Gillian Flynn: she spoke of writing the story then having to write backwards, as her final product led to different emphases being needed in the body of the work. Her complexity came off as a laborious layering of ideas. Ryan David Jahn talked of his novel The Dispatcher (which he’s currently writing the screenplay for), and its likeness to Jim Thompson’s The Getaway, and Chris Mooney explained where he got the basis for Sacred Ash, a concept in his novels that has to do with the storing of cremated ashes. Apparently, he based it on an actual company, Holy Smoke, which makes ammunition out of people’s ashes, so that, as Chris noted, loved ones can fire their dearly departed into a Thanksgiving turkey. Only in America… the country from which these four talented and compelling writers hail. ← Dare Me: Megan Abbott’s Indirect Challenge?